That dust is a killer… a hurricane killer. I admit I’m a little down this evening. You see all day at work I had this great idea for tonight’s post, but it seems the king of all weather bloggers has stolen my thunder! THE Dr. Jeff Masters of Weather Underground’s fabulous Wunderblog wrote a wonderfully masterful entry today on African Dust and Atlantic Hurricane Activity. The reason for this astounding coincidence being the massive dust storm that just blew over the tropical Atlantic. 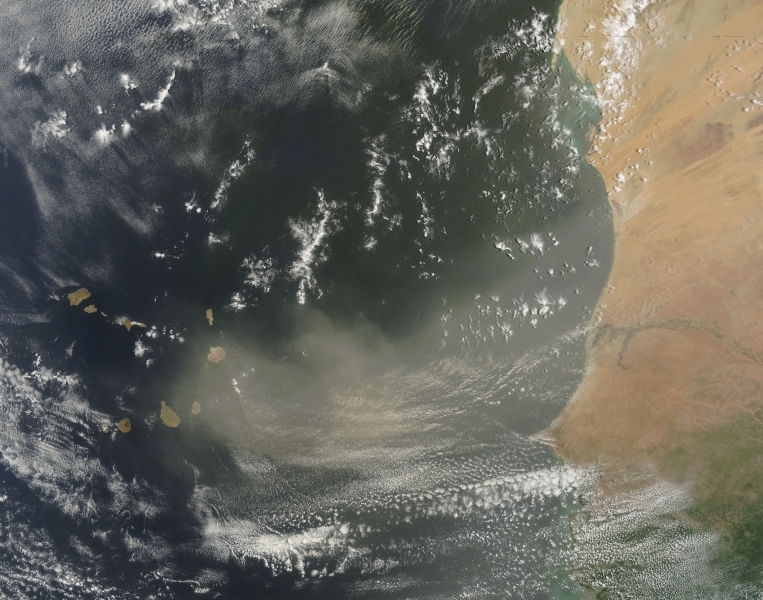 The dust storm as captured by satellite on Monday. The visible island chain is the Canary Islands. I’ll pass on the beach today, maybe bowling. Thank you to the WordPress Blog All Things Geography (http://allthingsgeography1.wordpress.com/2013/07/31/picture-from-earth-84/) for this webcam image. 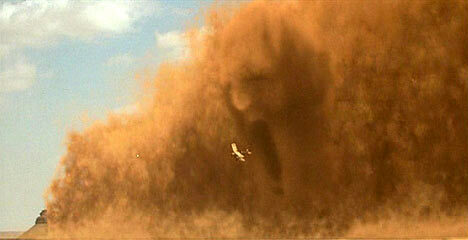 The dust storms begin in the sands of the Sahara, where the intense heating at the surface causes a lot of instability. When the atmosphere is unstable, strong updrafts and downdrafts warm and dry air right at the surface. When the African easterlies carry dust out over the water, the warm, dry Saharan Air Layer moves over the cool, moist marine layer. (Check out this blog entry from last August which covered African Easterly Waves) This creates an inversion, a cap of warm air over cool air that prevents strong updrafts and inhibits thunderstorm activity. Tropical storms need the convective energy from these storms and the presence of this inversion makes formation difficult. The dust itself hurts tropical storm formation. 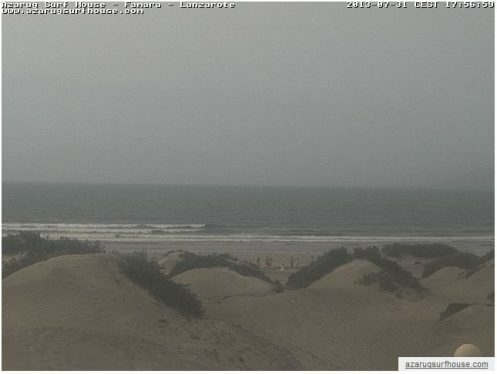 As you can see in the webcam image from the Canary Islands, the dust has darkened the sky. Solar energy is blocked and water temperatures in the development region cool by about 1 degree Celsius. With less heat to draw energy from, storms don’t form. …..but the dust, it’s Cloud Condensation Nuclei, could that help hurricanes form? I should also note that the southern edge of this Saharan Air Layer can act like a front, creating the uplift and wind patterns key to African Easterly Waves. For now though, it seems this dust will be preventing much formation over the next few weeks. Check out the Wunderblog for the whole, wonderful scoop. NASA’s 2013 Hurricane and Severe Storms Sentinel or HS3 mission will investigate whether Saharan dust and its associated warm and dry air, known as the Saharan Air Layer or SAL, favors or suppresses the development of tropical cyclones in the Atlantic Ocean. Additional learning (YES! ): A lot of Saharan dust makes it 6,400 km to the Amazon rain forest, where it delivers fertilizing iron and phosphorous. From Scientific American. ← TS FLOSSIE takes aim at Hawaii: Why is it so invulnerable to hurricanes? Dust storms have their good sides, then!